Entry Requirements: 5 GCSEs at grade 4/C or above including either Mathematics or English, or a Level 2 equivalent in this area and GCSE Mathematics or English at grade 4/C or above. Plus a successful trial. 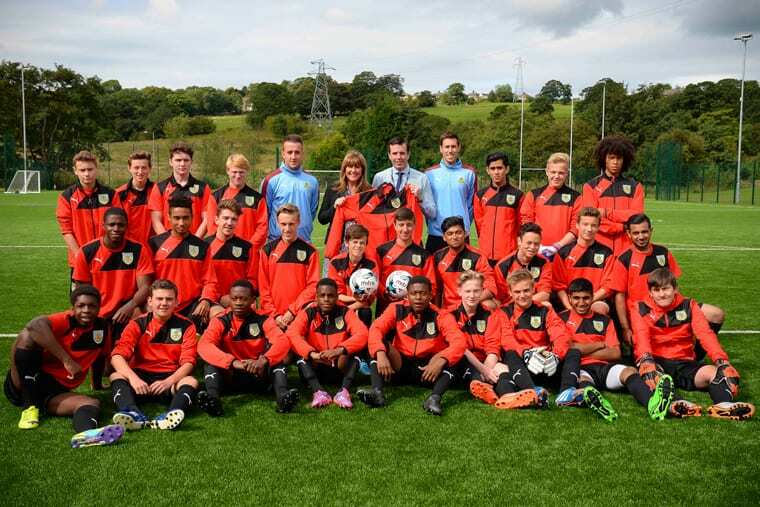 The Burnley FC Shadow Youth Team is a unique programme for aspiring footballers. Successful players will represent Nelson and Colne College in partnership with Burnley FC in the Community as part of the British Colleges Leagues. Students will study for a BTEC Level 3 Extended Diploma in Sport Performance and Excellence. Students will also gain the FA Level 1 Coaching Award. You will have up to eight hours dedicated coaching and games a week with a highly qualified coaching team. There will be the opportunity to compete in games as well as gain access to Burnley FC first team home matches. As well as receiving support from a professional club, there may be opportunities for American scholarship links. At the end of this programme you can choose to progress onto an HNC in Sport at Nelson and Colne College, university, an Apprenticeship or employment in the sector.